Although crystals have been used for healing for thousands of years, many people in modern times are still skeptical of its effectiveness and ability to create real-life changes. Crystal healing is based on physics and the principles of energy. Crystals have a subtle energetic vibration that is based on their molecular blueprint. In any crystal, the molecules that form its external structure are stacked in a very precise way. This creates an orderly form, both physically and energetically. By introducing that perfect, orderly form and stable energetic vibration into your subtle energy field, your energy body will go through the process of entrainment. This means that your energy body, sometimes called your aura, will begin to mimic the perfect stability of the crystal’s energy frequency. Each individual person has a unique energy frequency. Therefore, the resonance that is created by introducing a crystal into the energy field may vary from person to person. For example, many crystal healers and authors suggest using Amethyst to treat headaches. However, since each person has their own unique energy frequency, the Amethyst may have a different effect on each person. This may remove the headache pain for some, but not for others. After your body entrains to the energetic vibration of the crystal, that resonance will either be harmonious and effective for your intended purpose, or you may not notice much change. Therefore, the subjective nature of crystal healing makes it difficult to prove. Because of the variety of experiences people have when using crystals for healing, many crystal healing practitioners use crystals to target specific areas of the human energy field. This helps them to achieve more uniform results. The most common way to treat a specific area of the human energy field is through chakra balancing with healing stones. The seven main chakras are energy centers, found along the spine. Sometimes, they are described as swirling vortices of energy. They can be most likened to little satellite dishes that send and receive information from the universe. They pick up energetic messages from outside of the self and beam the information to the human energy field. Here it is interpreted by the physical and subtle (mental, emotional, and spiritual) bodies. Since there is a flood of energy constantly coming into the chakras, over time, they can become imbalanced. Each chakra governs a different area of your life, a different part of your emotions, etc. Each chakra center it also thought to resonate with a particular color frequency – the seven colors of the rainbow spectrum. It is thought that by bringing a crystal of the corresponding color into the physical location of the chakra, you can balance and harmonize the energy of the chakra if it’s imbalanced. For example, the Root Chakra is thought to resonate with the color red. If you wanted to balance the energy of the Root Chakra, you could place a stone like a Red Jasper or Garnet on the area of the Root Chakra to bring balancing energy to that center. Placing a stone of a corresponding chakra color on the physical location of the chakra center is a very easy way to treat yourself to a chakra balancing session at home. Cleanse your crystals (one of each of the seven rainbow colors – red, orange, yellow, green, blue, indigo, and violet). This will clear them of any negative energy. Cleanse your sacred space or the space in which you will be performing the chakra balance. Lie down and make yourself comfortable. Center yourself by gently tapping or thumping your thymus for about 30 seconds. Starting at your Root Chakra, place a red stone like a Garnet. Place an orange stone, such as a Carnelian, on your Sacral Chakra. Put a yellow stone, like Citrine, on your Solar Plexus Chakra. Place a green or pink stone over your Heart Chakra (like Green Aventurine or Rose Quartz). Place a light blue stone, like Blue Lace Agate, on your Throat Chakra. Finally, place a violet stone, such as Amethyst, at your Crown Chakra (tucked in at the base of your crown where your head is resting on a comfortable pillow). Remain within this layout for about 15-30 minutes. Remove the stones in the opposite order they were placed. Start with the stone from the Crown Chakra and end with the stone at the Root Chakra. Be sure to drink plenty of water, eat a light snack, or go for a little walk. This will help to to re-ground yourself. You want to stabilize that healing energy within your body. Performing this chakra balancing technique about once a month is wonderful because it gives your energy body a little energetic tune-up. However, if you go through something particularly traumatic or something that just really zaps your energy, it would be beneficial to do it a bit more frequently (maybe once per week) until you’re feeling whole, healthy, and balanced. Are you still skeptical of the effectiveness and ability of crystals to create real-life changes? 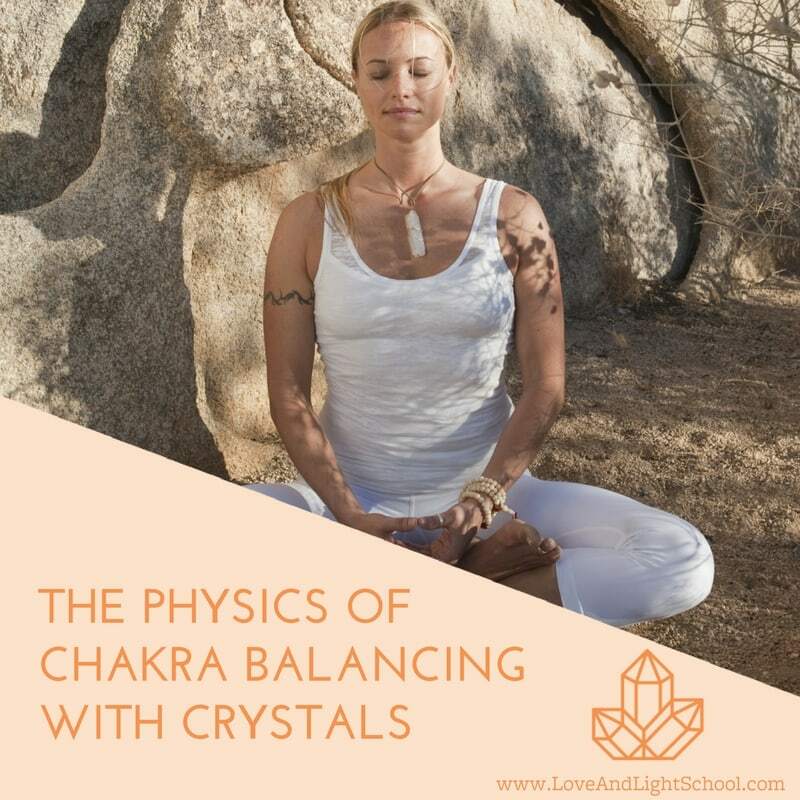 Using this chakra balancing with crystals technique is a great step towards creating real, positive changes in your life. You’re welcome, and thanks for your comment 🙂 Crystal blessings! Thank you that was very well done and helpful. Thank you Dorothy! <3 Crystal Blessings! I really love the text and the website is wonderful !! gratitude!! Hi Marcia! You are so sweet- we are so glad you enjoyed it and hope you will continue to peruse our blogs & other crystal resources. Crystal blessings! Oh we are so so happy to hear you enjoyed it, Parmeet! <3 Crystal blessings!